Boardwalktech Software (TSXV:BWLK) announced that it has completed its second round of financing in a private placement, generating over C$411,000 in proceeds. Boardwalktech develops digital ledger technology solutions for supply chain and data management. 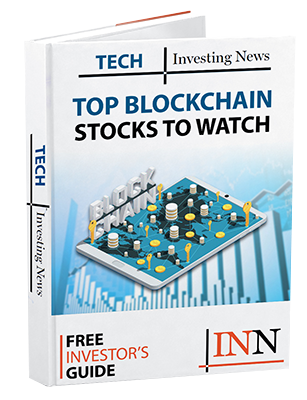 Headquartered in Cupertino, California Boardwalktech has been deploying blockchain technology systems for over 10 years. The Company intends to use the proceeds from the Offering for general corporate purposes, including strengthening its balance sheet and the expansion of the Company’s sales and marketing initiatives. Joining prior involvement of senior management in the First Tranche, Dharmesh Dadbhawala, co-founder and Senior Vice President of Products, subscribed for an aggregate of 30,612 Units under the second tranche of the Offering for aggregate cash consideration of C$19,898. The participation of Mr. Dadbhawala in the Offering constitutes a related party transaction under Canadian Multilateral Instrument 61-101 (“MI 61-101”), but the transaction is otherwise exempt from the formal valuation and minority approval requirements of MI 61-101.